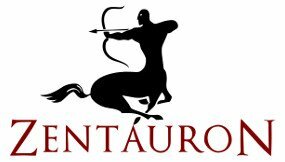 This product category is still in a build-up and growing phase. An additional slide-in unit exists on the back side of all pouches in this category. Multislot Series There are 3 products. accessory bag with double zipper. 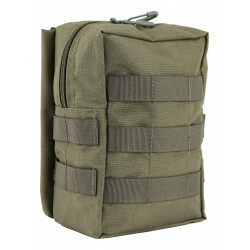 MOLLE loops on the front and the sides. Extra Velcro pocket on the back for additional equipment/ ammunition etc. 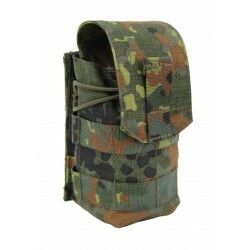 2x MOLLE clips for attachment to carrier systems are included. 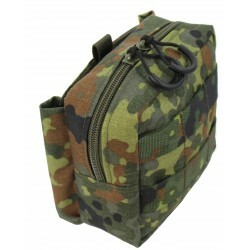 Square accessory pocket with zipper and MOLLE loops on the front. The bag can be opened up to halfway and is made of Cordura®. Inside, there are two mesh slots for organizing.